Monthly subscription for those who like HOT and SPICY foods. Each box will have 6 products both from national brands to handcrafted local sellers or smaller vendors which could include salsa, hot sauce, chips, nuts, popcorn, etc. Anything and everything we can find that his hot and spicy. Products will range from mildly spicy to ghost pepper hot with a good heat range in each monthly box. Give it a try, you cancel at any time! 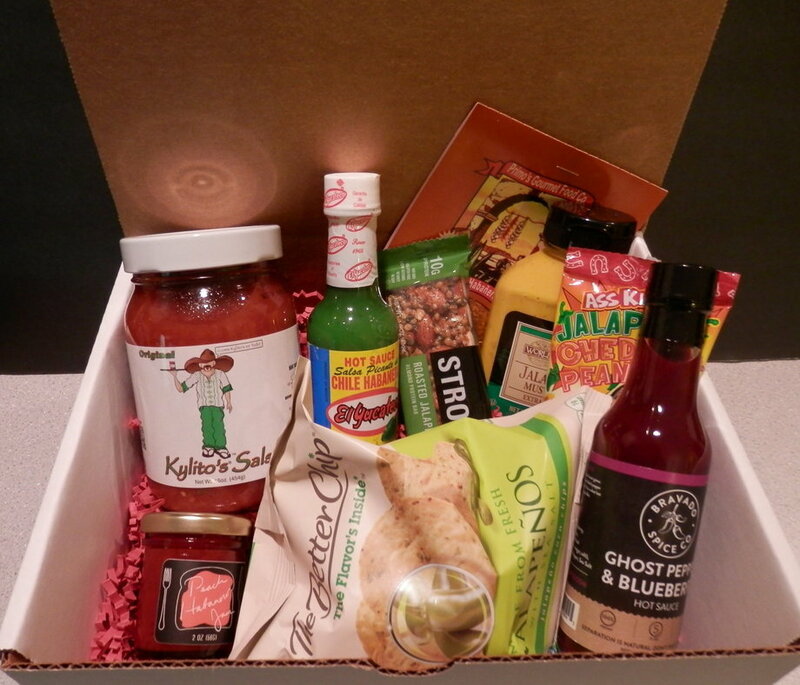 If you love spicy foods, you'll love getting this monthly box!